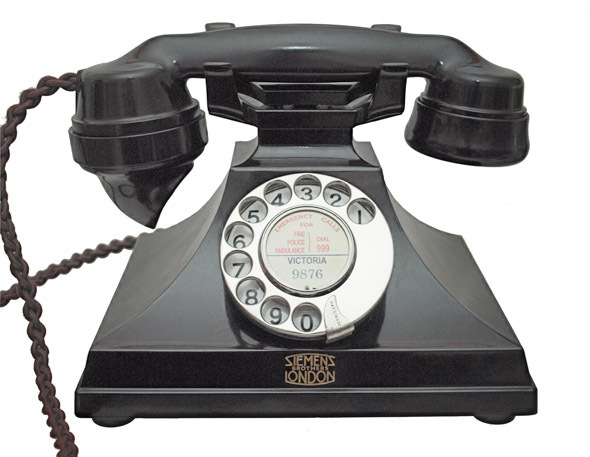 << Back Black Siemens of Woolwich 312 model. Black Siemens of Woolwich 312 model. This is a wonderful telephone. Screams Deco and is a real statement telephone. 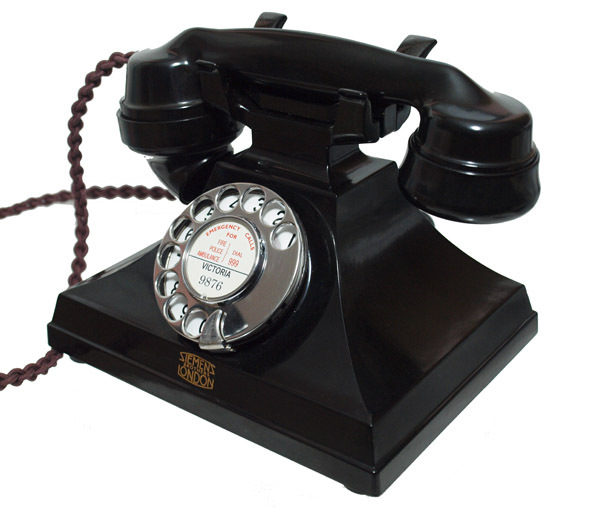 This is one of my favourite telephones. Designed and made by Siemens Brothers of Woolwich. As you can see the design is just magnificent and you cannot fail to be impressed. This model dates from the early 1930s and it certainly has the deco looks. It is all original both inside and out and it retains the GPO No 10 dial with its original enamel dial face. This telephone has the common side cracks to the left side only and was probably there from manufacture and very hard to see even when told. 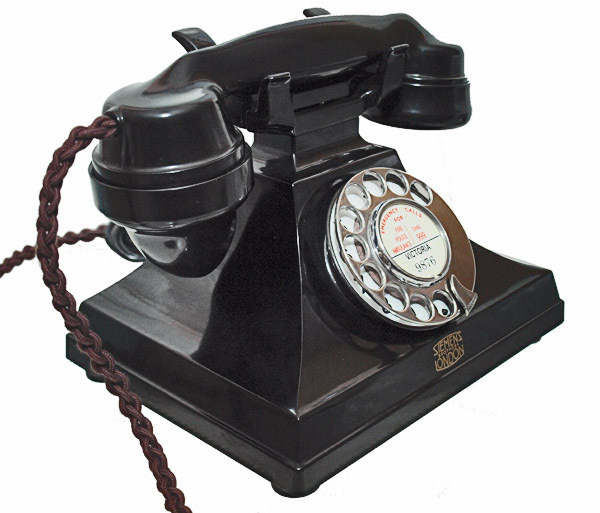 This telephone was stripped down and rebuilt after each part was cleaned and polished. It has been set up to work using a special line simulator to enable the dial to be set up correctly. The telephone was then tested on my BT line to make sure it was working perfectly. I have fitted it with a best quality British made hand plaited braided handset cord. A GPO specification round line in cord with a UK telephone plug socket and an electronic microphone. This telephone is ready to simply plug in and go. I can fit a dial label with your details.